Print Finishing Equipment is essential for high quality printed material, printed paper is very sensitive during folding, it’s surface may be damaged, the substrate may crack and the paper may tear. The quality and appearance of high-quality presentation material must not suffer during the print finishing process. Print Finishing equipment allows the user to crease material before it is folded giving the perfect look, this is essential for quality stock and material. This machine is ideal for the copy shop, printer looking for the next step from Manual creasing. 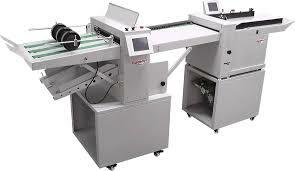 This machine can place up to 6 creases in one pass. comes standard with a 1mm crease width die. Other options are available. 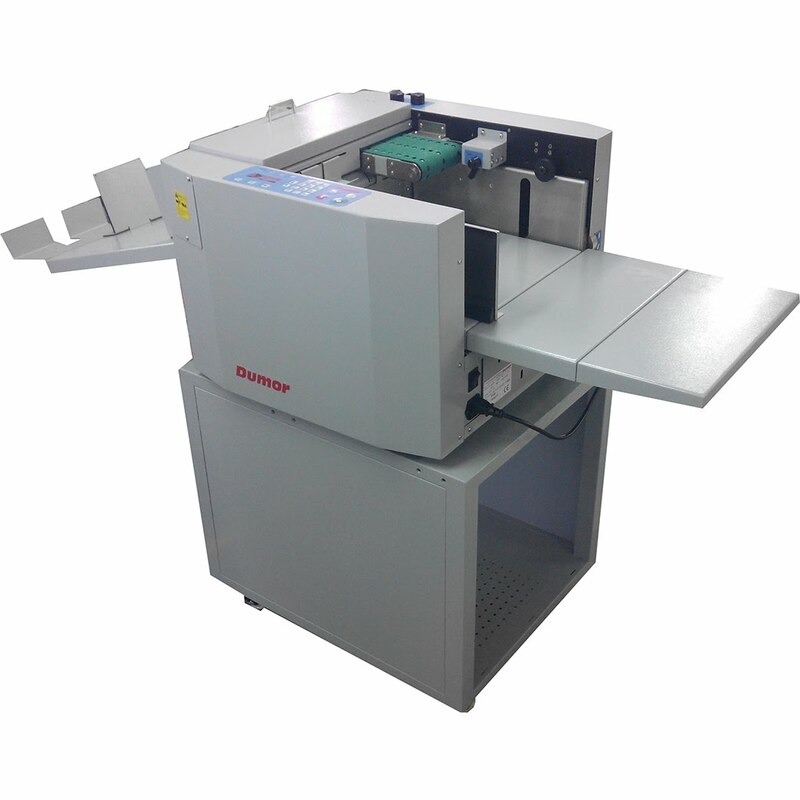 The Dumore Auto Creaser will ultimately increase your production and improve the crease on your products for a perfect folding result. 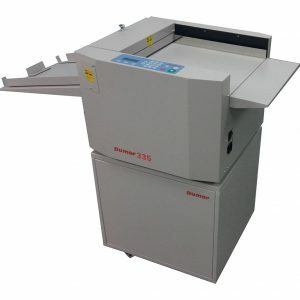 The Machine will place creases in up to 400 GSM stock. Book cover mode. input hinge length, book thickness. Machine completes 2 hinge lines and 2 spine lines. Suitable for paper, Laminated, UV Coated, coated stocks. Store up to 30 jobs. The Machine has a standard 1 mm Crease line. Options available for Linear perforation up to 4 can be installed.